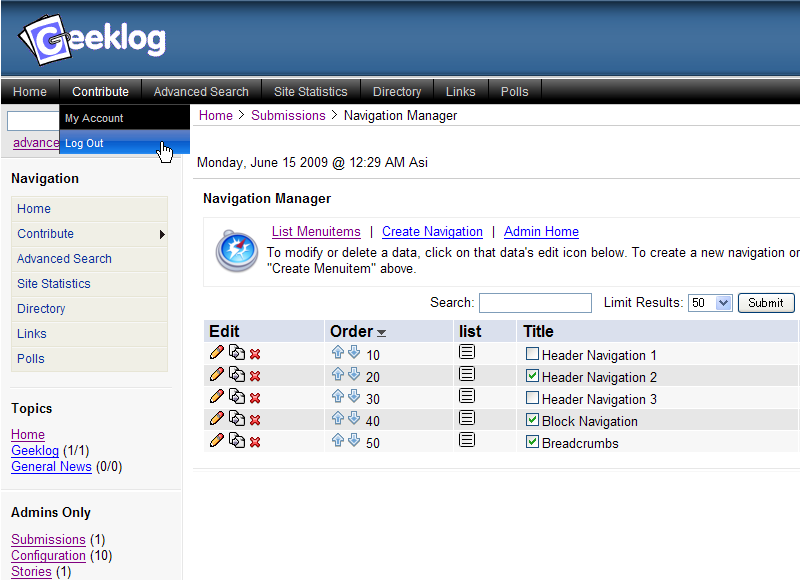 * Create, Edit, Reorder, and Delete navigations and menuitems on admin panel. * By using PHP filter, dynamically change the navigation. * Geeklog standard menuitems ready. * Automatic registration of the main plugins. * The navigation can be installed in the header, footer and block. * Makes much of flexibility of the setting such as the number of the navigations which can be installed, ability to choose a reference template, the variation of the output template variable, the class specification.